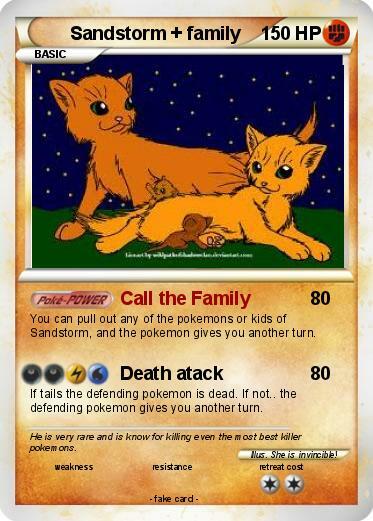 You can pull out any of the pokemons or kids of Sandstorm, and the pokemon gives you another turn. If tails the defending pokemon is dead. If not.. the defending pokemon gives you another turn. Comments : He is very rare and is know for killing even the most best killer pokemons. Illustrator : She is invincible!